Each day Google honour one person or thing in their ‘Google Doodle’: today was dedicated to New Zealander, Beatrice Tinsley. You can see the doodle in the cover shot above. She is a pioneer in the study of how galaxies evolve — those great swirls of stars of which our solar system occupies a tiny corner of just one of more than 100 billion galaxies in the universe. It’s a measure of her high reputation that Google would honour her, but few New Zealanders probably know of her. I am not a cosmologist; I am the wrong person to explain her science. Others have covered her life better than I can. I write here encouraging New Zealanders to learn a little of this woman. Some accounts have it in that the country that first gave women voting rights, the wife of a university staff member could not be herself a staff member in her day – 1961, not that many years ago really. Born in England, she moved to New Zealand at young age to New Plymouth. At 14 she decided she wanted to be an astrophysicist, and seems to have set about that in a determined, and very successful, way. She was unable to work at Dallas, where her husband was, working 200 miles at Austin where she excelled. Choosing between career an family in 1974, she divorced her husband and moved to California then Yale University where she became professor of astronomy until 1981. She still struggled for professional recognition. Apparently, “her application for the job as head of the university’s astronomy department was not even answered”! But her name in science clearly stands in high regard. The American Astronomical Society annually award the Beatrice M. Tinsley Prize for “an outstanding research contribution to astronomy or astrophysics, of an exceptionally creative or innovative character”. University of Texas also has shorter awards for younger researchers in her name. She died of cancer at age 40, in 1981. Asteroid 3087, discovered at Mt. John Observatory above Lake Tekapo, is named after her. Canterbury University has the Beatrice Tinsley Institute, and her name is honoured in a street in Auckland (adjacent to other space-related names, William Pickering and Sally Ride). There are at least three biographies of Beatrice Tinsley for those who wish to read more. (The fourth listed there is about winners of the prize that holds her name.) One of the biographies is by Cate Catley, who wrote the article that I learnt of her; another is by her father. She also is covered in The Book of New Zealand Women / Ko Kui Ma Te Kaupapa, now out of print. You can also learn more about her at Radio New Zealand by Veronika Meduna (2013) and later interviewing Richard Easther’s (2015), and at Richard’s blog post. All images are from Wikipedia, except the Google Doodle. 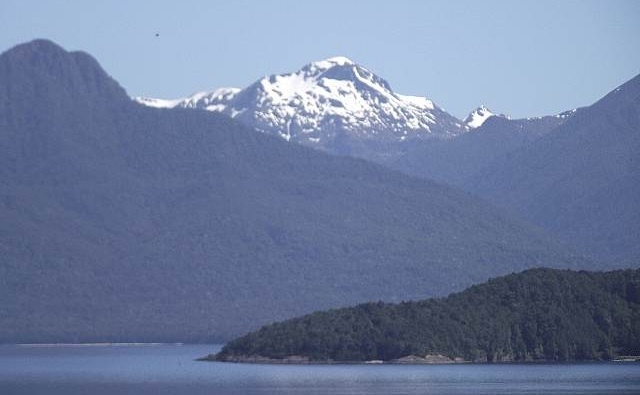 The image of Mt. Tinsley has been slightly cropped. * The biographies I’ve looked at don’t give her marriage date. ** Some of her papers are available in a collection at the National Library of NZ. Edited to add more sources about Beatrice Tinsley. 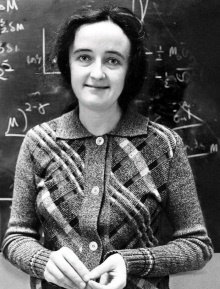 For a little more on Beatrice Tinsley not being able work at the University of Canterbury, I was told (via twitter) that “Radio-astronomer Ruby Payne-Scott had similar problems in Aus[tralia]”. The linked wikipedia article on Ruby Payne-Scott says (in the 1940s), “the Commonwealth government had legislated for a marriage bar specifying that married woman could not hold a permanent position within the public service”. It seems this must have persisted until the early 1960s in New Zealand (and perhaps other Commonwealth nations). It also reads as if married women couldn’t work in the public service, regarded of if their husbands did or not. Ruby Payne-Scott and William (“Bill”) Holman Hall secretly married in 1944; at this time, the Commonwealth government had legislated for a marriage bar specifying that married woman could not hold a permanent position within the public service. She continued to work for CSIRO while secretly married until the regulations of the new CSIRO in 1949 raised the issue of her marriage. The following year, her treatment by CSIRO resulted in hostile written exchanges with Sir Ian Clunies Ross (Chairman of CSIRO) about the status of married women in the work place. She lost her permanent position in CSIRO. However, her salary was maintained at a level comparable to that of her male colleagues. In 1951, she resigned a few months before her son Peter was born; there was no maternity leave at this time. The New York Times has recently published an obituary to Beatrice Tinley in their over-looked-no-more column. The letters are particularly thoughtful.